Simply Cleaner is commited to both quality and providing our clients with the best services. All Laundromats are not created equal! Click below to read about a few of the things that make us different. Our nightly cleaning staff ensures that our facility provides a clean, well-lit environment for handling your laundry needs, and many of our customers travel across town just to use our store because we’re, well…Simply Cleaner. Store-wide recording security cameras and internet monitoring provide unprecedented laundry-site visibility and a powerful deterrent to onsite crime. Our rubber-based flooring is easy on tired feet and actually grips better if it happens to get wet, making it among the safest flooring available. We did extensive research to find it and installed it at considerable expense to give you the best. 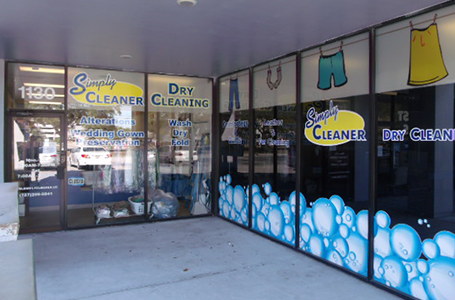 For 12 of the 15 hours our laundry facility is open during the week, our owners are onsite at our adjacent dry cleaning facility, ready to answer your questions and address specialized cleaning concerns. We’re also here from 7 to 3 on Saturdays. Centrally located near the most densely populated zip code in Pinellas County, we are convenient to I-275, U.S. 19, 4th Jr. Streets and Gandy/Park Boulevard. 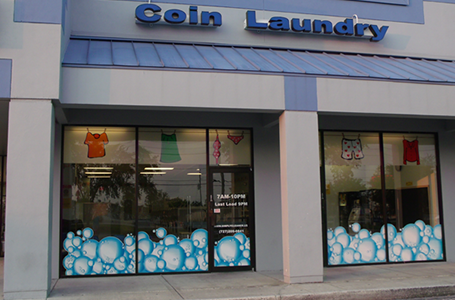 We also have the most available parking of any laundry facility in North St. Petersburg. Fully heated in winter and air-conditioned in summer for optimal customer comfort. In-store cable TV helps pass the time while your laundry gets the Simply Cleaner treatment. We have clean onsite restrooms, too! Free in-store Wi-Fi lets you work, play or surf while you await your washables. The Wascomat/Electrolux brand of washing machines we use are the most expensive commercial machines money can buy. While most of our customers could never afford to purchase one, they can affordably use them here anytime. Our standard washer cycle provides 2 washes and 3 rinses for thorough cleaning you can see, smell and feel. Many cut-rate Laundromats use only a single wash and 2 rinses, requiring you to pay more for additional washes and rinses. We have the largest variety of washer sizes in the local area. We’re the only cleaner in the area with 75-lb. washers, two of them, in fact, but who’s counting? Our dryers have the best air-to-heat ratio in the industry for thorough drying in less time. Our two newest machines utilize the highest-extract G-force power in the coin-op industry. Simply Cleaner is commited to both quality and providing the friendliest service to all our clients. Keeping with our tradition of service. We have incorporated a LIVE CAM in our Coin Laundry. Allowing customers to "check in" on the Coin Laundry before making the trip. We believe this will not only allow our customers to better plan their day but provide them with an additional level of security. Our team members are always friendly and always ready to provide you with the best service. Always at you service. Have questions? Click image above to email us anytime.